Breaking ... Coming this fall: Axios on HBO. Axios has signed a deal with HBO to produce a limited docu-news series this fall that will feature breaking news, interviews with the world’s most influential leaders, and short documentaries on the topics that matter most. Why it matters: Axios will work with HBO and a cast of Emmy-winning producers to help viewers better understand the collision of politics, technology, business and the world. The series is co-directed and co-produced by Perri Peltz and Matthew O'Neil. Axios CEO Jim VandeHei: "The world needs new, smarter ways to better understand the dominant personalities and definitive trends changing politics, business, technology and our lives." Be smart ... The Wall Street Journal's Benjamin Mullin (subscription): "It is part of Axios’s strategy to gradually expand the breadth of content the company publishes and experiment with new formats." 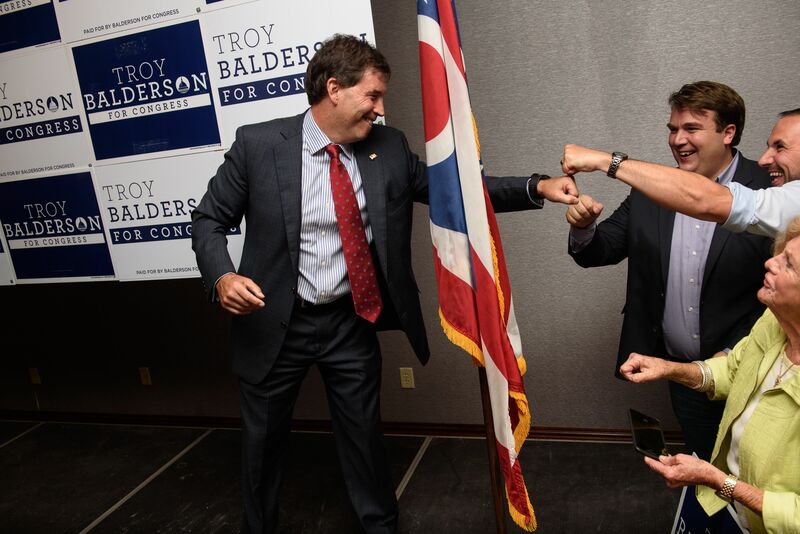 This year's last special election left Democrats energized and Republicans worried: A U.S. House race in Ohio that should have been a layup for Republicans instead wound up too close to call with 100% of the vote in, although Republican Troy Balderson and President Trump declared victory. The AP advisory at 11:25 p.m.: "Republican Troy Balderson has a slight lead over Democrat Danny O'Connor in the special election in [Ohio's] 12th Congressional District. But there are at least 3,367 provisional ballots left to be reviewed. That's enough for O'Connor to potentially pick up enough votes to force a mandatory recount." CNN's John King points out that such leads typically stand. But the race is deadlocked for now with a 1,754-vote margin for the GOP. In elections since 2016, Republicans have massively underperformed their Trump-Clinton margins, one of the surest signs of trouble when House control is at stake 90 days from now. MSNBC's Steve Kornacki, after a long night at his "Big Board," told me: "OH-12 was Trump +11 and right now it’s GOP +0.9 in the special. ... PA-18 [went] from Trump +20 to a Dem win" by Conor Lamb. FiveThirtyEight says this year's "federal special elections have shifted leftward from their partisan leans by an average of 16 percentage points." There's a sharp Trump-era shift from the GOP in suburbs, which were a crucial part of the president's 2016 victory. Political analyst Bill Schneider said on CNN that while Trump has a historic hold on his own voters, Republicans are bleeding affluent, educated, suburban voters who don't like him: "It's changing the profile of the Republican Party quite dramatically." Every race is a Trump race. And both sides think that works for them. 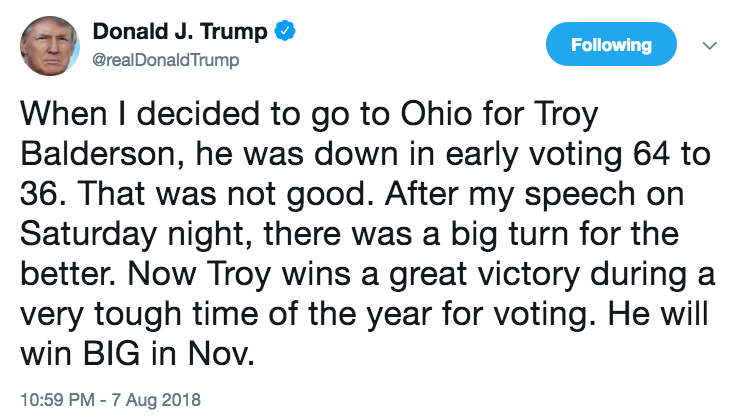 The president, claiming he saved Balderson's bacon (see tweet below), will be even more insistent about engaging in key races. Axios' Alexi McCammond points out that the Ohio race was really Trump v. Pelosi: The president rallied with Balderson on Saturday; GOP ads tied O’Connor to Dems' Speaker-in-waiting. Be smart: Both parties will obsess about luring their own people to the polls, with little incentive or bandwidth for outreach to the middle (less likely to vote in midterms than in presidential elections) or the other side (everyone dug in). That means an ugly, loud spectacle befitting our times. 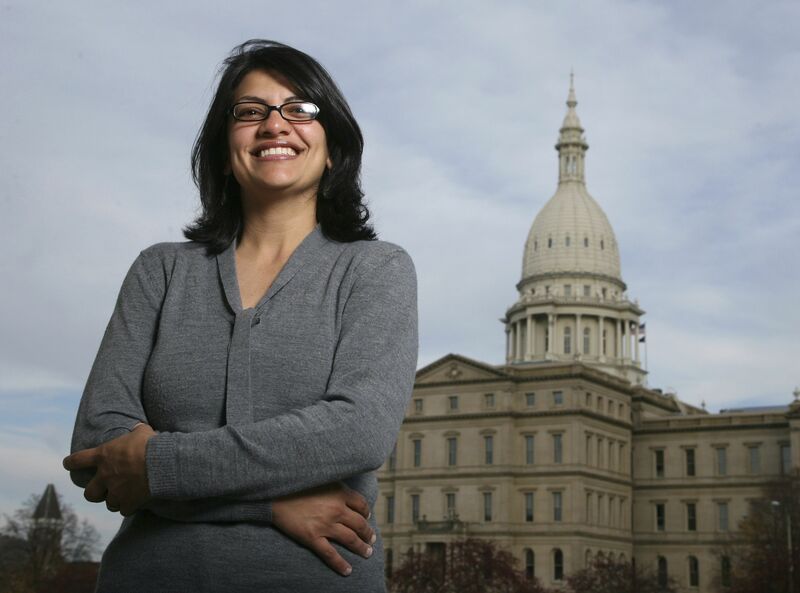 "There are now at least 172 women nominees for U.S. House and 11 women nominees for governor — the highest in history, per the Center for American Women and Politics," Axios' Alexi McCammond reports. "A measure on the ballot on Tuesday asked voters to pass judgment on a prospective law barring private-sector unions from collecting mandatory fees from workers who choose not to become members. The law was rejected by a 2-to-1 margin." "In early October, the Afghan war will be 17 years old, a milestone that has loomed with grim inevitability as the fighting has continued without a clear exit strategy across three presidential administrations." "With this anniversary, prospective recruits born after the terrorist attacks of 2001 will be old enough to enlist." "And Afghanistan is not the sole enduring American campaign. The war in Iraq, which started in 2003, has resumed there and continues in a different form over the border in Syria." 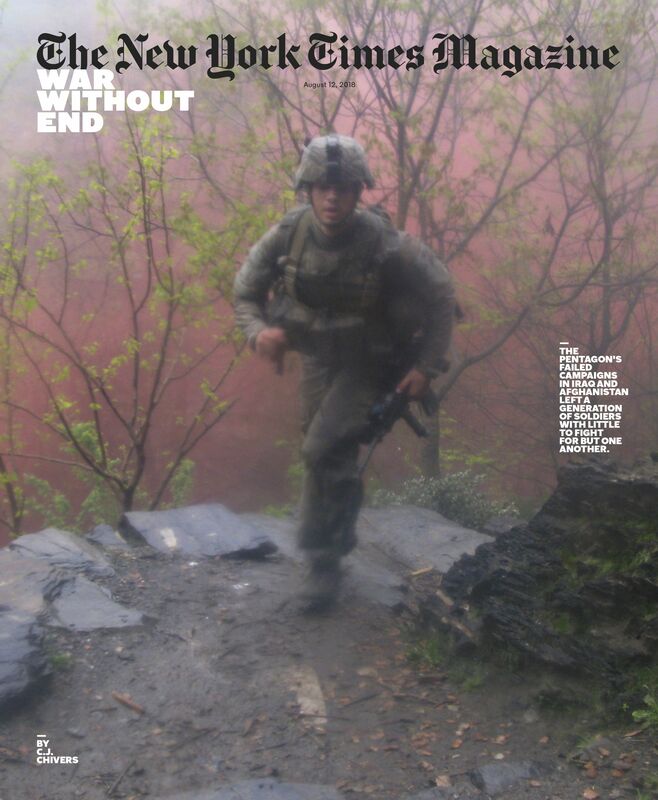 "The United States has at various times declared success in its many campaigns ... And still the wars grind on, with the conflict in Afghanistan on track to be a destination for American soldiers born after it began." "Nearly 7,000 of them have died. Tens of thousands more have been wounded." Why it matters: "The foreign policies that sent these men and women abroad, with their emphasis on military action and their visions of reordering foreign nations and cultures, have not succeeded." "It is beyond honest dispute that the wars did not achieve what their organizers promised, no matter the party in power or the generals in command." "Astonishingly expensive, strategically incoherent, sold by a shifting slate of senior officers and politicians and editorial-page hawks, the wars have continued in varied forms and under different rationales each and every year since passenger jets struck the World Trade Center in 2001." "They continue today without an end in sight, reauthorized in Pentagon budgets almost as if distant war is a presumed government action." "For the past two years, Chinese companies have won an AI competition for detecting objects." "The Chinese are happy for the United States to keep building carriers and bombers, so long as they deploy the more advanced technologies that can disable these systems." At an Aspen Strategy Group conference, "Republicans and Democrats were equally passionate about spreading the message that this is a Sputnik moment for modernizing our military." Why it matters: To compete with a rising China, the U.S. needs "a more nimble Pentagon and a country that’s more united to face the big problems ahead." Be smart: "[T]here was an intense discussion here of the issue that’s vexing America this summer: the growing political polarization that’s creating so much discord that it’s becoming a national security problem." "During his second day on the witness stand, Gates detailed the lies, phony documents and fake profits he claims to have engineered at Manafort’s direction." 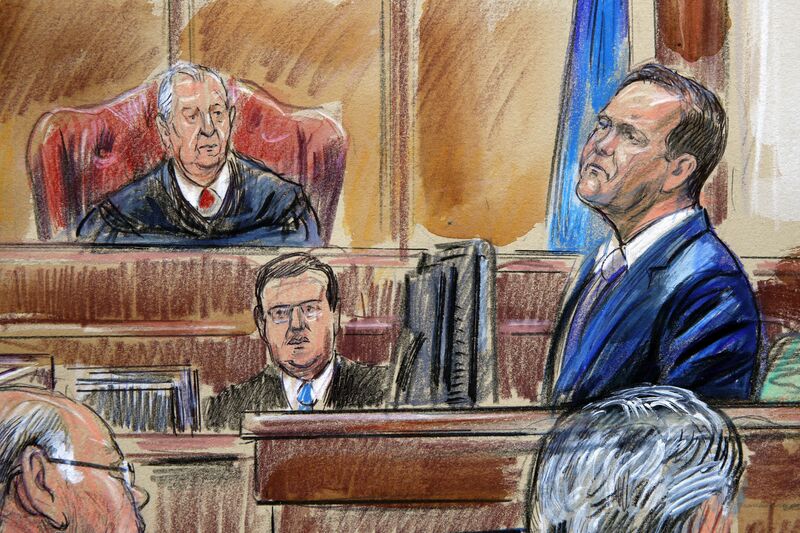 "Manafort, seated at the defense table, at times stared intently at his former protege and business partner, who has assiduously avoided Manafort’s gaze despite their proximity inside the federal courthouse in Alexandria." "Asked whether he stole as much as $3 million [from Manatfort], Gates replied that he thought the figure was lower but agreed that he had taken money from Manafort." "Snap, the maker of the Snapchat app, said it lost three million daily active users in the second quarter from earlier this year. It was the first time since the company went public in early 2017 that it had reported a decline in users." The trend: "Snap’s report follows similar trends from Facebook and Twitter." Why it matters: "The declines and flattening growth raise questions about whether the social media companies have reached a saturation point in some markets, especially in developed countries." Why it matters: "The notion of a buyout, which would value Tesla above $70 billion, is itself extraordinary, as it would be far larger than any previous take-private deal." "The way Mr. Musk broke the news added to the drama, disclosing in a casually worded tweet the prospect of a buyout that would be an enormously complicated transaction for a company struggling to generate cash." "It was a shocker even for investors who are often whipsawed by Mr. Musk’s erratic comments on Twitter." 8. 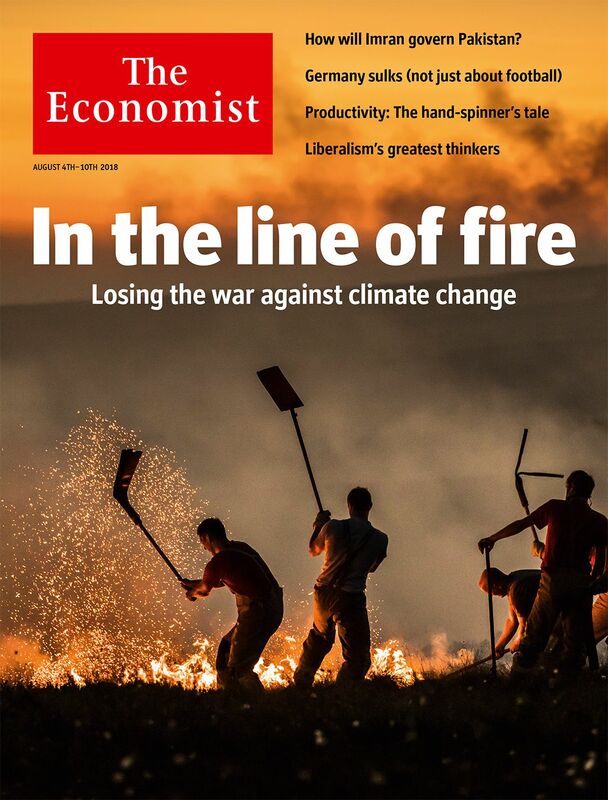 World is "losing the war against climate change"
"Earth is smouldering. From Seattle to Siberia this summer, flames have consumed swathes of the northern hemisphere." Why it matters: "[C]alamities, once considered freakish, are now commonplace." Be smart: "Averting climate change will come at a short-term financial cost — although the shift from carbon may eventually enrich the economy, as the move to carbon-burning cars, lorries and electricity did in the 20th century." "Also hot in the paper aisle this year: Decorative tape, creative journals and scented pencils in smells like bacon and pickle." Scott Bayles, vice president of stationery at Walmart, on school supplies: "There’s an explosion of innovation and fun." "An elite group of Disney superfans attempt the ‘Parkeology Challenge,’ trying to take a spin on all the attractions in the Orlando, Fla. resort’s four parks." The quest "requires months of planning. Challengers dart from the Mad Tea Party to Space Mountain while braving the Florida heat, swarms of tourists and the occasional broken toe." "Runners map out detailed routes in hopes of joining the few dozen who have ever completed the grueling race. To endure the 20-plus-mile day, some train by hitting the treadmill, Rollerblading or running in quarter-mile sprints to imitate racing between rides." "Challengers weigh whether to bring a bag—useful for carrying food, but going without can save time through the faster no-bag line at park entrances." Thank you for reading. See you all day on Axios.com — and this fall on HBO.